Profit From Stock Charts... Using Technical Analysis. Hidden Patterns... Time After Time!" your winners and lose the laggards." sing stock charts and technical analysis to make your trading decisions is smart. Keeping your chart analysis simple is even smarter. Literally, there are thousands of Web sites covering every imaginable angle of the markets. These sites are overflowing with reams of fundamental data, endless lists of market indicators and mysterious "black box" trading systems... so much information, you may never be able to make an intelligent buy or sell decision. We created Stock-Charts-Made-Easy.com for you, the investor, on the premise that everything you need to know about a stock is revealed in its chart pattern or footprint. Through simple technical analysis, stock chart footprints will come to light... allowing you to make an INFORMED decision on whether to buy or sell your shares. As you explore the site, you will find many tools and resources, with plenty of examples, to guide you in your OWN equity selection process. "You Can Get Started, Right Now!" Click on Charting Principles to discover the best charting techniques. 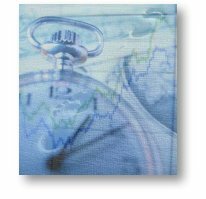 Visit Forecasting Tools to see our suggested list of charting indicators and how they work. Use Market Metrics as a jumping-off point for selecting stocks prime for a trend reversal. Go to Charts In Action to see our technical analysis applied to real market examples. Get current News & Market Commentary, updated daily. Subscribe to Chart Wealth... our FREE online newsletter and receive a SPECIAL report. Preview our back issues here. Browse our Bookstore for special rates on the books we review and recommend. Want to contribute content to our Web site? It's easy as 1-2-3! Novice, or seasoned trader... there is something for everyone. "Who Else Wants To Trade With 95% Accuracy?"